There aren't too many things sweeter than grandparents with their grandkids. Don't miss any opportunity to photograph this special love and to scrap these memories. My CT has scrapped several "grand" photos, and I'm so proud of their work! Here are some examples by Anita, Lix, Lori, Monica, and Terry. Thank you, Ladies! Liz used A Grateful Heart for this photo of her daughter with Grandma. 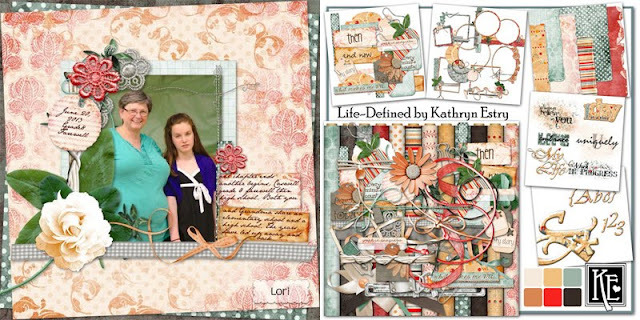 Lori chose Life-Defined for her grand photo. 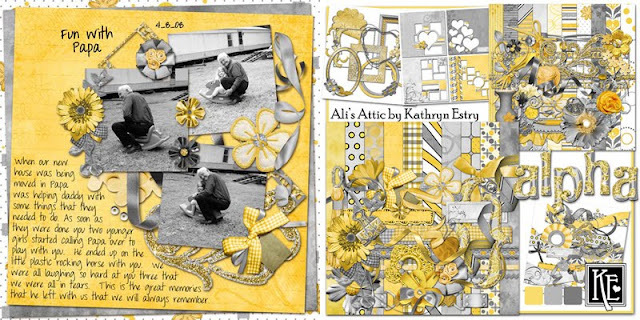 This bright, cheery layout by Monica was made with Ali's Attic. 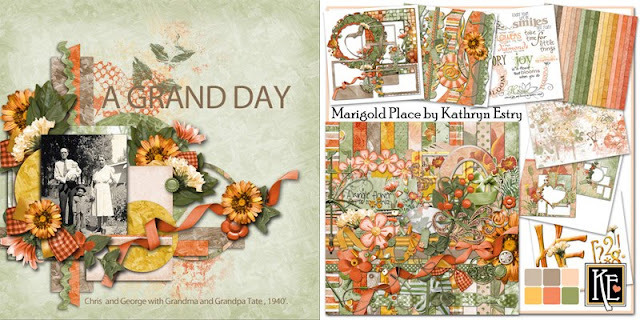 This lovely layout by Terry is a beautiful heritage page. She used Marigold Place for her page. 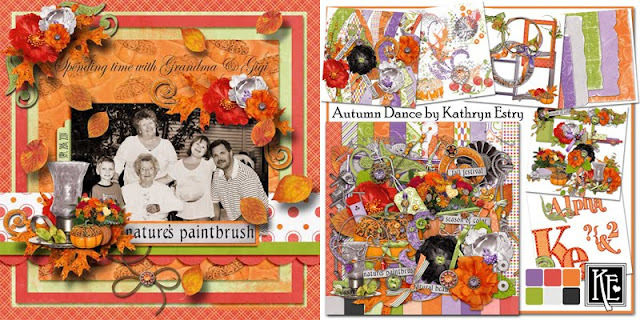 Again, I invite you to visit my forum challenge, Scrapping with Kathryn from A to Z, and I hope to see your layouts with grandparents posted there!